A three-time winner of the national road championships and one of Ireland’s few female pro riders; Lydia Boylan has shown her class at the Europeans. She took silver in the Madison at the Euros last year with Lydia Gurley. And while she didn’t add another medal to her palmares in the omnium in Glasgow on Monday, she still excelled. Dutch rider Kirsten Wild, a 23-time medallist at Worlds and Europeans before these Games began, took the title. She adds that to the three track world titles she currently holds and the scratch race European title she won three days ago. Her career tally of elite track world or European titles is now an eye-watering 10. She has also medalled at road worlds; taking silver in the road race two years ago and bronze in the TTT discipline in 2012. Her palmares also includes a series of one-day and stage race wins with her trade teams down the years. Tonight she beat Team GB’s Katie Archibald for the title. She is the current Olympic champion and European champion in the team pursuit. 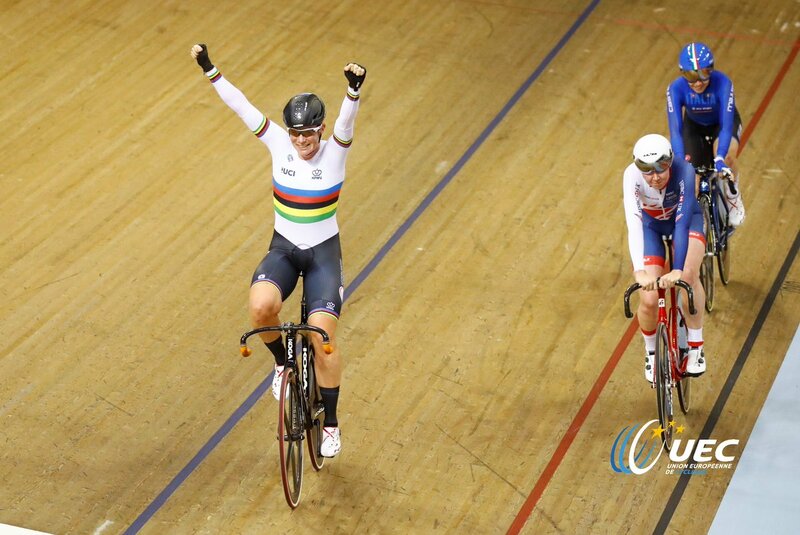 Furthermore, she is world champion in the Madison and commonwealth champion in the individual pursuit. She’s a 22-time medal winner at elite Worlds, Europeans, Commonwealth or Olympic games; 16 of those medals golds. 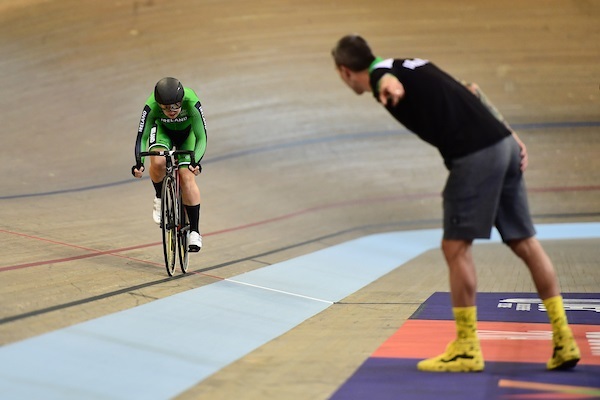 Boylan in action on the Chris Hoy Velodrome. World champion wild also takes the European crown. Letizia Paternoster of Italy took bronze in today’s omnium. Though aged just 19 years, it was her fourth medal at elite championships. She was part of the gold medal-winning team pursuit line-up at last year’s elite Europeans. She won five junior European titles on the track last year, three the previous year, when she also won two world junior track titles. To finish on the heels of these riders, Boylan has pulled off one of the very best results of her career. And with the Madison and the omnium now both Olympic events, Boylan is in a great position to both get to Tokyo and compete there. At the Europeans on Monday Boylan was 2nd in the tempo race, 6th in the points race, 9th in the scratch and 14th in the elimination race. “I knew I had to go in aggressive – but fifth overall in this race, in this strong field; I really wasn’t expecting that,” she said. “I always have confidence in the points race, I know I can ride hard and last a good 80 laps,” she said of the event where she bridged to a breakaway and gained a lap. “I think quite a few people who are my nearest rivals missed out on that lap I took,” she explained. She added she knew she was going well: “My legs are there. And when I know my legs are there I ride a lot more confidently. “And I’m not afraid to go with the moves. That’s kind of the key to success for me. “Big up to my coaches David and James for getting me in the shape that I’m in. “In the points race you just have to take your opportunities. You don’t lose a lot of energy diving down and going with the moves. With her confidence high after a very strong omnium, she goes in the Madison on Tuesday with Gurley. “Both of us have really bonded a lot better during the last camp,” she said of their recent stint training with the Irish team in Majorca. “And (we) did a lot of Madison training together. Lydia’s legs are obviously good too – it’s just really promising. 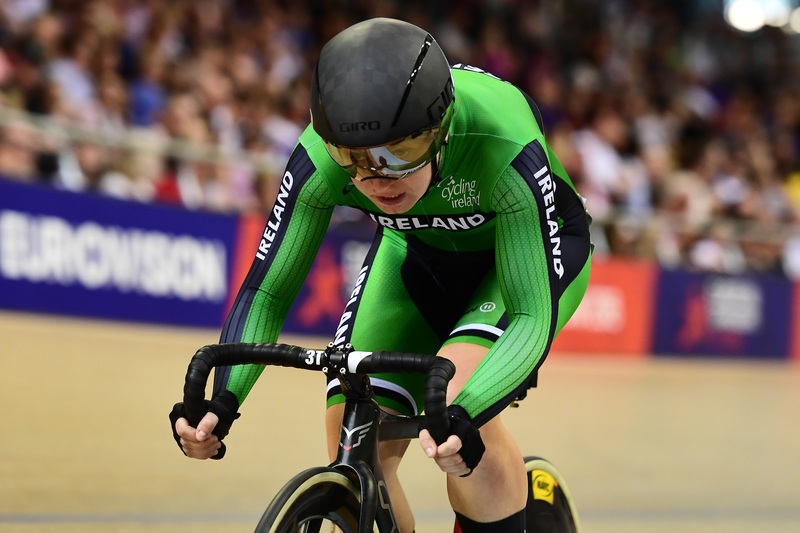 Also on Tuesday, Ireland’s Robyn Stewart rides the keirin and Marc Potts the elimination race. Gareth McKee represents Ireland in the MTB race, a discipline he is national champion in.